Known as Australia’s Best Impersonator, comedian Ben Price has his audiences rolling in the aisles with his spot on impersonations of personalities such as Arnold Schwarzenegger, Owen Wilson, Homer Simpson or Dr Phil.A national talent at an international level, Ben has performed overseas on many occasions, most recently wrapping up a comedy tour of New York. A recent career highlight was performing a warm up gig for the Global Financial Education Summit in Sydney & Melbourne as the Terminator- in front of Arnold Schwarzenegger himself! You will have also seen him in a TV commercial with Arnold Schwarzenegger for realestate.com where Ben was his body double. Ben recently went to LA and featured in Ray Comfort’s new movie, Audacity. This will showcase Ben as many of his characters in his first movie release. 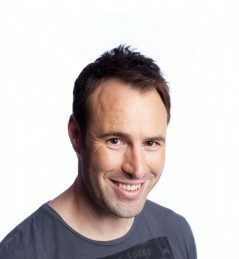 Plus the message will be very powerful.Since competing in the Grand Final of the 2011 season of Australia’s Got Talent, Ben has become a highly sought after comedian, heard around the country on various FM stations. His recent one-man show, Celebrities Got Talent sold out every performance and now he’s a regular guest on Kids WB on Go Channel. He was also a special guest on Channel 10’s Studio 10 and Planet unEarth as Arnie on Go Channel. Ben is in high demand for corporate appearances worldwide. Some of his corporate clients include Telstra, AMP, Commonwealth Bank, Mercedes Benz, JB HIFI, Mobil, Foxtel, Bendigo Bank, Realestate.com.au, McDonald’s, Sony Ericcson, Microsoft, BT, Tourism Australia, Cadbury and many more. Discovering his talent for impersonating voices at the age of 10, Ben used his amazing talent to entertain classmates and pull pranks. Since starting out he has developed an impressive repertoire of over 100 character voices, including Dr Phil, Donald Trump, Liam Neeson, Robert DeNiro, Morgan Freeman, Sir Sean Connery, Australian PM Tony Abbott, Kevin Rudd, John Cleese, Barack Obama, Tom Cruise, Donkey, Shrek, Homer Simpson and many more. His impersonations are exact in sound, and in full costume and make-up, Ben can also look the part, mimicking his subject’s exact mannerisms.Ben has performed several times in the Melbourne International Comedy Festival, with sell-out shows in 2000 with Melbourne the Musical, 2001 with Who Am I? and 2003 with The Best Show Ever. In 2006 he performed the hugely successful Hollywood Live & Uncut at The Palms at Crown and in 2007 he had sellout shows performing as Dr. Phil in What were you thinking? This was followed by a successful regional tour all over Victoria. In 2008/09 Ben performed in the highly successful Ben Price Live at Red Scooter and in 2010 Tim Tam from Vietnam Live. 2011 saw the return of Melbourne the Musical 11 years on followed by Ben Price Live in 2011/12. He regularly appears on Kids WB, Go Channel and he’s appeared on Channel Nine’s A Current Affair as Dr Phil, Stand-Up Australia on Foxtel’s Comedy Channel and on Channel Ten’s The Panel Christmas Wrap as Ian Thorpe. Ben has appeared on various other TV shows; including Sunrise, The Morning Show, The Footy Show, The Sunday Footy Show, Rex Hunts Footy Panel, The Today Show, The AXA Grand Final Breakfast, Live n’ Kicking, Starstruck, Australia’s Got Amazing Talent, Ten News, The National IQ Test, The Perth Telethon Channel 7, 9-AM, In the Limelight and The Good Friday Appeal. As well as his stage and television credits, Ben has made appearances in TV commercials for such brands as Toyota, Holden, Just Jeans, Just Klapp and he had the honour of taking on the persona of Bear Grylls as the face (and voice) of the Victorian Caravan and Camping Show’s media campaign. His many character voices have also been used for several radio campaigns. Ben’s material is clean and can adapt to any organisation or event. He is a versatile talent who can appear in character if requested, or perform MC work as himself, while incorporating many characters into a routine.